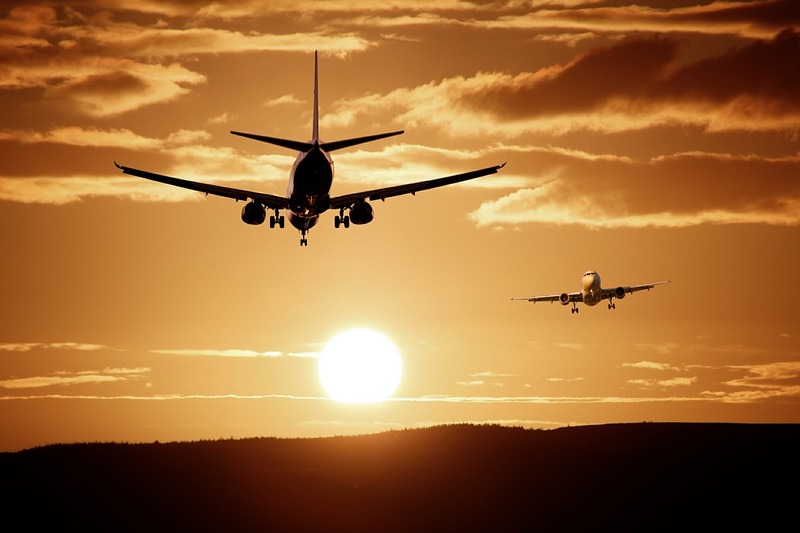 Home / Approach / Landing / What is Non-Precision Approach? In the previous article, we learned about ILS or precision approaches but not all airports have ILS so what kind of approach do pilots take? These are called non-precision approaches and are called so because the pilots don’t have vertical and horizontal guidance until touchdown and most importantly an aircraft cannot autoland with a non-precision approach hence the use of such approaches have visibility restrictions. They are approaches done with the lesser use of automation and require more manual flying. In this type of approach the pilot is navigating the aircraft based on visual cues and has full control of the aircraft with autopilot disengaged, the best example for such an approach is Samos airport (LGSM) pilots are flying IFR only till 4-5 nautical miles away from the Samos VOR (SAM) which is the only navigation aid, after which a series of visual cues such as villages, pier, white shed building helps pilot navigate and check their altitude and speed. The aircraft lines up to the runway only in the last few minutes of the approach making it dangerous and difficult. Another great example is Leh, India where pilots disengage autopilot at above 10000ft and visually maneuver the aircraft around a hill to line up with the runway. 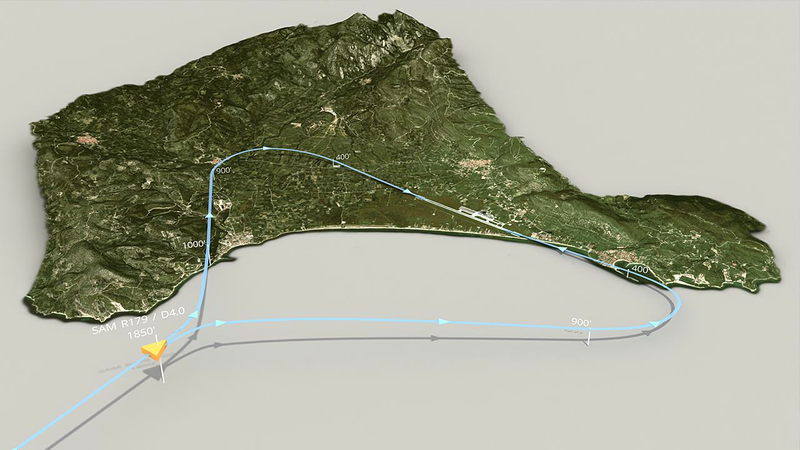 The below pic shows a Samos approach. RNAV is also known as area navigation that allows aircrafts to choose any course within a network of navigation beacons such as a VOR instead of flying directly to and from beacons, RNAV used to be called random navigation and hence earned its name. RNAV is also based on GPS and GNSS or Global Navigation Satellite System allowing aircrafts to navigate based on latitude and longitude and no ground based navigation aids, today almost all commercial aircraft are RNAV equipped and fly RNAV SID( standard instrument departure) and STAR( standard terminal arrival route) and most of the High altitude IFR navigation is done using GPS and GNSS waypoints. The major advantage of GNSS based RNAV is helping pilots land at airports where there is lot of terrain and inoperative or no precision approach available. RNAV takes the aircraft carefully around the terrain to a few hundred feet above the runway at which pilots will take over manual control once visual with the runway. Best example of GNSS based RNAV approach used around terrain is Kathmandu airport (VNKT). The Below pic is a RNAV approach for Runway 02 at Kathmandu. A VOR is a ground based navigation aid which stands for Very High frequency Omnidirectional beacon, VORs have a specific frequency that aircrafts tune into and fly Radials and bearing to navigate to and From a VOR. Most airports have a VOR station beside the runway or in the vicinity of it, a VOR approach as the name suggests uses this VOR station as the primary navigational aid. The aircraft tracks the specified VOR radial to the runway since there is no glideslope to a VOR approach pilots use charts and DME(distance measuring equipment) to maintain the vertical profile , since the VOR station cannot be on the runway the aircraft is not perfectly lined up to the runway and has to be done manually when the pilots have visual with the runway. Since it is a non-precision approach it has a higher Minimum decision altitude (MDA). The below pic is a VOR approch for Runway 09 at Mumbai, VABB. NDB stands for Non-directional beacon and is a ground based navigation aid that uses ADF radio, NDB is very rarely practiced with big commercial jets like the A320, B737 etc , its mostly used for flight training purposes, it is said to be the most disliked approach by pilots. 1) Night effect – Radio waves reflected back by ionosphere can cause NDB signal strength to fluctuations 30 to 60 nautical miles from the transmitter, especially just before sunrise and just after sunset. 2) Terrain effect – High terrain like mountains, hills and cliffs can reflect radio waves, giving an error in readings on the ADF receiver. Electrical effect, Shoreline effect, Bank effect etc are more factors that induce a lot of errors while doing an NDB approach. In conclusion, non-precision approaches are performed everyday by hundreds of skilled pilot, its more challenging and difficult than Precision approaches due to the reduced use of automation, VOR and Rnav are the most popularly used Non-precision approach. All Aeronautical charts in the article are to be used for flight simulation purposes only.